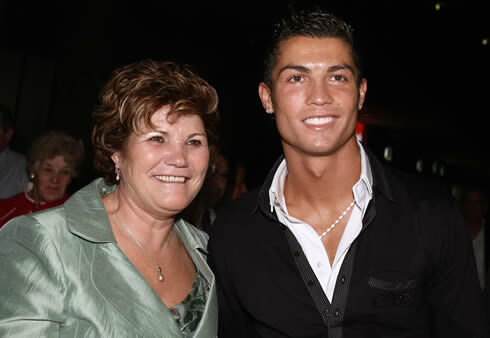 There's no other woman in the World more important to Cristiano Ronaldo than his mother, Dolores Aveiro. At the age of 59, she decided to share her life memories in a book entitled "Mother Courage" and naturally, most of the focus from this publication ended up being set on her prodigal son, Cristiano Ronaldo. In a big and exclusive interview granted to a Portuguese magazine ("Notícias Magazine"), Dolores Aveiro approached some of the topics covered throughout her book and opened up about several of the challenges that she and her family had to overcome to get where they are today. Interviewer: When you see your son Cristiano Ronaldo playing, is there anything you see in him that reminds you? 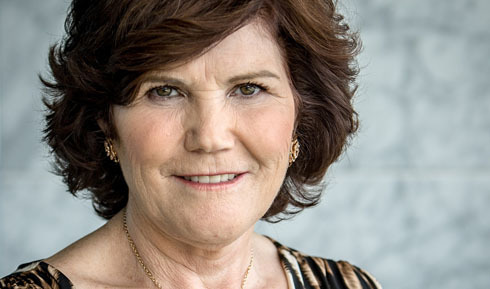 Dolores Aveiro: "My strength! That's what I immediately see in him. Whenever he goes into a game and he calls me, I just tell him: «Good luck son. Your mother will light a candle so that the 'Nossa Senhora de Fátima' will enlighten your way». That happens every single time we talk before he plays. When he loses, I call him back and just tell him to be patient... He gets very sad when he loses, but that's natural to happen since no one can win everytime." Interviewer: In this book about your life, the reader gets to know how much you suffered in the past. You lost your mother at the age of 6, your father sent you to an orphanage and you were mistreated by your stepmother. Later in your life, you lost your husband when you already had 4 sons at your care. During most of that time, you never ceased to work... Where do you get all that strength from? Dolores Aveiro: "Through my mother, who also suffered a lot in life. She was married 3 times and died when she was 37 years old. The first two husbands she had before my father were fishermen and they all died at sea. She has always been incredibly strong. Then, she finally got married with my father, had 5 children and passed away at the age of 37." Interviewer: Why did you end up naming your son Cristiano Ronaldo? 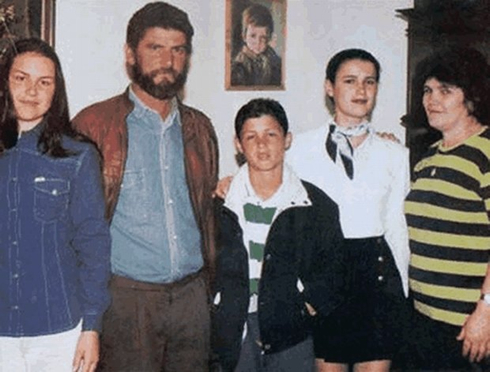 Dolores Aveiro: "That was actually my choice and not his father's [José Dinis Aveiro]. I had a great admiration for Ronald Reagan [the President of the United States of America between 1981 and 1989] and I always thought of him as an exemplary man. I suggested it to my husband and he was fine with picking "Ronaldo" to our son's name as a tribute to him. Interviewer: In your book, you end up confessing that when you became pregnant with Cristiano Ronaldo, you didn't have exactly planned for it. What happened in that time? Dolores Aveiro: "Yes, Elma was about to turn 12 and Hugo was 10. They didn't want another brother and it's true I tried to abort during pregnancy. However, that wasn't allowed at that time. I went to the doctor and told him the difficulties I was going through in my life. He obviously discouraged me and told me that I was still very young and that this child was going to give me a lot of joy. I then came home very worried with my future and a neighbour told me to buy a black beer, boil it up and drink from it. She also told me to run a lot. I did all that, but for some divine reason, I still gave birth to my son Cristiano Ronaldo. He was born very healthy, weighing close to 4 kgs (8.8 lbs)." Interviewer: When did you realize that your life and your destiny were going to change because of your youngest son? Dolores Aveiro: "I didn't think it was quite possible by the time he was still a youngster and decided to come to Lisbon to play for Sporting. I thought he could become a professional footballer like many, but never one of those world-wide super stars. I kept working back then, as I've always did in my life. 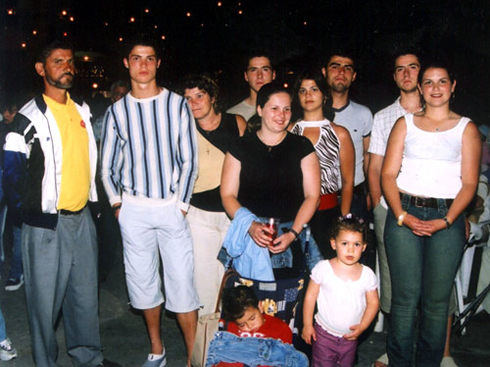 However, when Ronaldo was promoted to Sporting's first team [in 2002], things started changing a little bit. He asked me to drop my job in Madeira and join him in Lisbon. I remember he was already being followed by several scouts from other European teams back then and that's when I started realizing that our lives were going to get better. When he moved to Manchester, he was able to pay for his own house and he obviously helped a lot of people around him." Interviewer: It wasn't very normal to see the mother of a football player coming to live with him, was it? Dolores Aveiro: "No... We started by living in Hugo Viana's home in the Expo (Lisbon), one of his teammates in Sporting. Coming to the capital was like going to Venezuela for me. It was a whole new World. It was a complicated period, because I had to drop my job and leave my sons behind. I was inside the apartment during most of that time, without barely speaking to anyone. It was very hard, but fortunately, it's been worth the struggle..."
Interviewer: What happened when he got transferred to Manchester United? Dolores Aveiro: "He was the one asking me to move with him. He was 18 in 2003 and he also didn't have a girlfriend at that time. He has always wanted for me to be next to him, even when he went to Madrid. In Spain, he was alone for almost a year, but after his son was born, he asked me to join him again. I've been at his house for a full year, but today I'm living just 5 minutes away from him, since I also wanted to have my independence." Interviewer: Did Cristiano Ronaldo agree with your decision of writing this book? Dolores Aveiro: "When I told him about the book, he immediately asked me if I felt it was really necessary to expose my personal life in such manner. I told him to respect my decision, because he himself already had an auto-biography being written for him. What I had to share in this book was in no way harmful to anyone and I thought I could give a good example to help other people overcoming their lives' struggle. He then accepted it and just told me to be careful with what I was going to publish, because I didn't need to expose my whole life." Dolores Aveiro: "Yes, that's how he is. Sometimes, what we say in interviews is misinterpreted and because of that, it's true I end up avoiding talking every now and then." Interviewer: Was Ronaldo very spoiled when he was a child? Dolores Aveiro: "Yes, he was. When I got pregnant, my other sons got a bit angry and revolted. However, when he was born everything changed. He immediately became everyone's little boy." 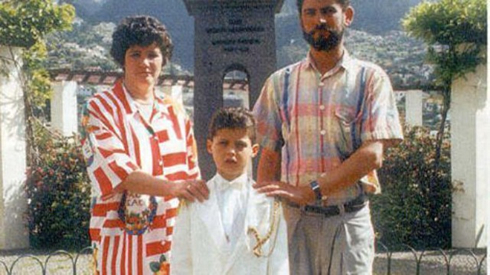 Interviewer: Did Ronaldo use to behave well when he was a little kid? Dolores Aveiro: "Yes! The few occasions where he stepped out of line were because he had been playing football until late hours. Sometimes, he only got home at 10, or 10 and a half..."
Interviewer: Is it true that Ronaldo used to have a football with him, no matter where he was? Dolores Aveiro: "Always, always! I remember he used to get sad when he received toys as gifts for example. All he cared about was football." Interviewer: What message are you trying to send with this book? 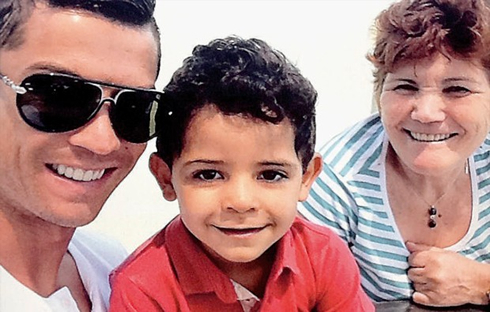 Dolores Aveiro: "I want people to realize that to reach where I am today, I had to cherish my sons a lot. We need to be very strong in life, because nothing happens by chance. Life is just a chapter. We have to be capable of bearing the pain, because life is good." Interviewer: In the current days, are you still the one who gives lectures to your son or is it the other way around now? 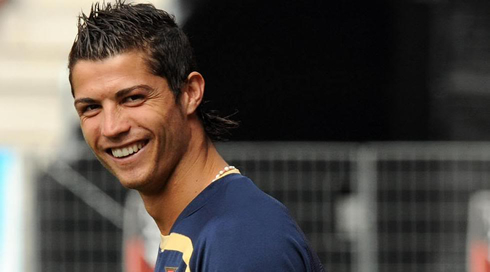 Dolores Aveiro: "I'm still teaching him more than he teaches me [laughs]. I tell him to always be humble as he has been so far, and for him to never let money get to his head. One day we're at the top but the day after we can already be in misery. The higher the rise, the higher the fall. Nevertheless, he knows very well how to appreciate what he has these days, because he was raised without any of these luxuries. We always have to think about tomorrow and help out those who need the most." Cristiano Ronaldo's next game for Real Madrid will be in the club's pre-season, in July. You can watch Juventus live stream, Real Madrid vs Inter Milan, Nice vs Barcelona, LA Galaxy vs Manchester United, and AS Roma vs Liverpool, all matches provided from our live stream pages.